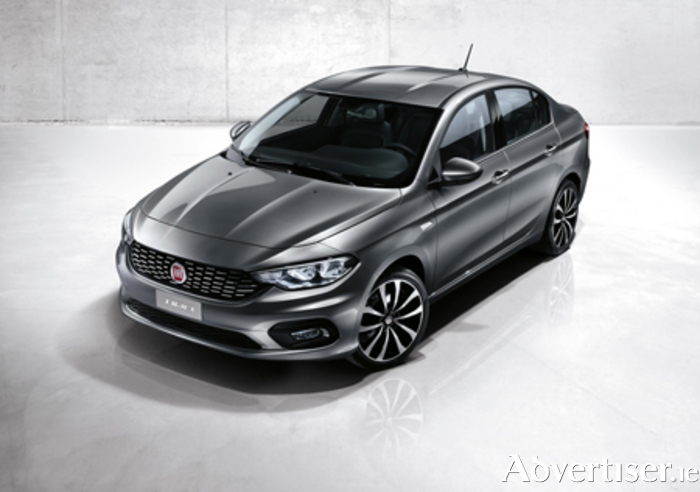 Fiat’s new c-segment contender is to be known as the Tipo. However, the new Tipo saloon has not been confirmed for the Irish or UK markets at this time. The historic name has been used by Fiat since its earliest days and is now making a comeback on a global model designed to tackle the challenges of the future. Fiat has confirmed that two MultiJet II turbo-diesel engines and two petrol units with power outputs ranging from 95hp to 120hp will be offered with manual and automatic transmissions (depending on engine ). Inside, the new Tipo will also be available with the latest technological featuresm including FIAT Chrysler Automobiles' touch-screen Uconnect™ infotainment system with hands-free Bluetooth calling and audio streaming; a rear parking camera, and TomTom satellite navigation. Designed in Italy at the Fiat Chrysler Automobiles Centro Stile, and developed in Turkey, it will be also be manufactured in Turkey.